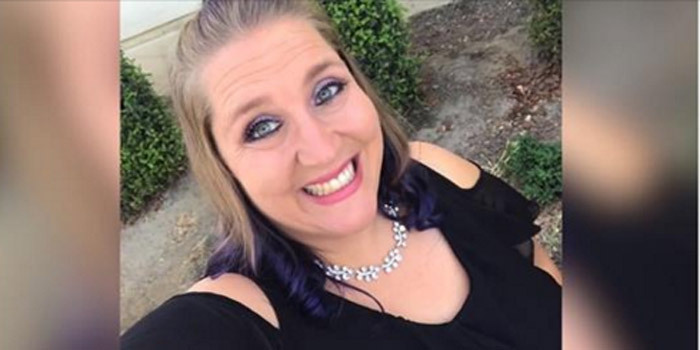 BAKERSFIELD, CALIF. — A widow and mother of five died last week while trying to save four of her children from a house fire, CNN reported. Kristina Stratton, 38, of Bakersfield, Calif. was out with one of her daughters when her house caught fire late Thursday night while four of her children were sleeping upstairs. Upon finding the house ablaze, Stratton ran into the burning home to rescue the children who were trapped on the second story. The children, ages 7 to 18, managed to escape the fire by breaking a window and jumping from the second floor. They suffered “minor to moderate” smoke inhalation, according to the Kern County Fire Department. Firefighters arrived at the home and found Stratton dead inside. “My sister just did what any mom would do, protecting her children. She’s my hero. I hope I could be half the woman she is,” Stratton’s sister, Sarah Parks told BakersfieldNow.com. CNN reports her three youngest children are now orphans since Stratton’s husband and father of the children died of cancer four years ago. Parks said she and her husband plan to serve as legal guardians for Stratton’s five children. A GoFundMe page has been set up to raise money for the family.